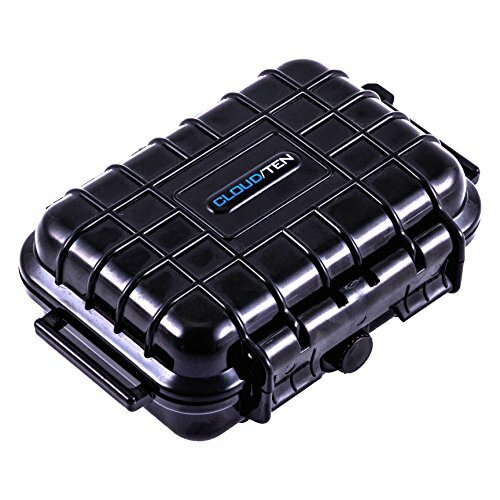 This Case is the ideal size to safely and conveniently protect and carry your Pod device and accessories. To resist Shock from drops and bumps, the inside is lined with a dense convoluted padded foam top and soft foam bottom to prevent rattling. This provides impact protection from impacts that can damage your devices heating element. The crushproof rugged exterior can withstand the elements and provides added protection. Keep Your Battery , Pods and Accessories organized and protected when traveling. This Case Measures 5.5" x 3.8" x 2" so it conveniently fits in any backpack , bag , suitcase or large pocket. Take this case with you or keep your device safely and discreetly stored in your room. There is a built-in area to attach a lanyard or carabiner for hiking or camping. The solid black design is discreet and can be carried by hand. Conveniently stay organized and keep everything you need to use your handheld device in one place when traveling. The interior of the case is lined with a solid silicone base with dense rim liner to securely keep this case airtight , resist odors and keep your device dry. Heavy-Duty latches firmly keep it held against the silicone. Bring Your Phix boating and on the water knowing there is a %100 airtight seal. Also protects from dust and moisture.